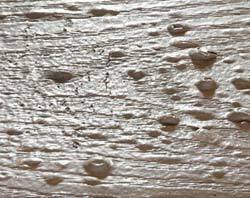 Composite Decking Brands - How are they different? 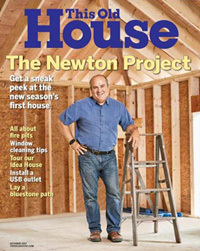 When This Old House magazine did a section "All About Fire Pits," they included a write-up on DeckProtect™. 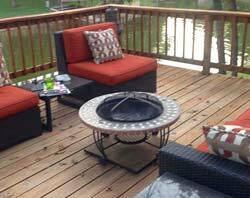 Here is what they said: "A fire screen can contain errant sparks and embers on a wood deck, but composite decking needs to be protected from the bowl as well. 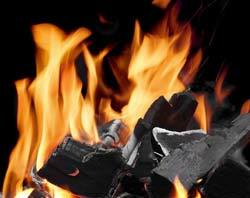 A metal fire pit can reach up to 800°F, pushing 200° to 400° of radiant heat onto decking; plastics soften at 176° and melt between 250° and 350°. 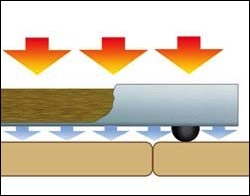 A thermal barrier can prevent high heat from warping composites. 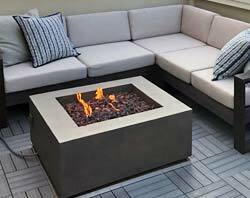 DeckProtect (shown) is an aluminum tray, perforated for drainage, that contains flameproof basalt rock-fiber insulation. 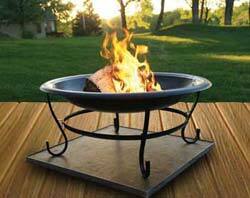 Choose one the size of the fire pit’s circumference to fit between the legs or, better yet, with all four legs on the mat." 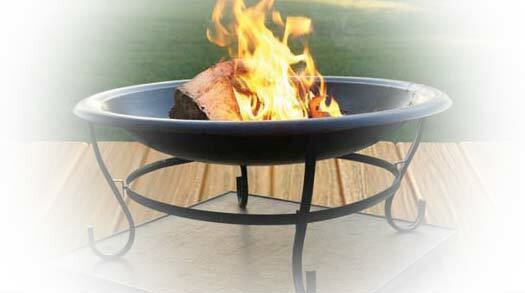 shows effects using a fire pit one time on a composite deck. 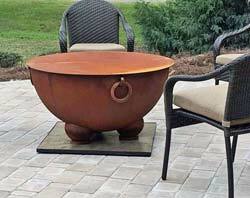 It turns out that a number of fire pits are a little to big for their feet to sit comfortably on our 24" DeckProtect, but not big enough to justify getting the 30" DeckProtect. 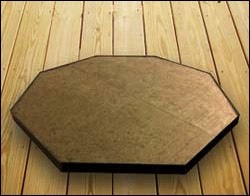 So we are pleased to announce a new in-between size. 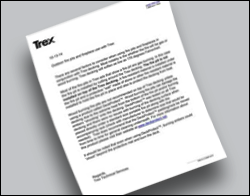 • What is Low-E glass, and Will it Harm Your Deck?